Work.What We Do.What We Believe.Thinking.Team.Contact. If Selina wasn’t an Account Manager, she could probably be a San Antonio Tour Guide. Her upbeat, outgoing personality and deep love and knowledge of her hometown would suit her well. 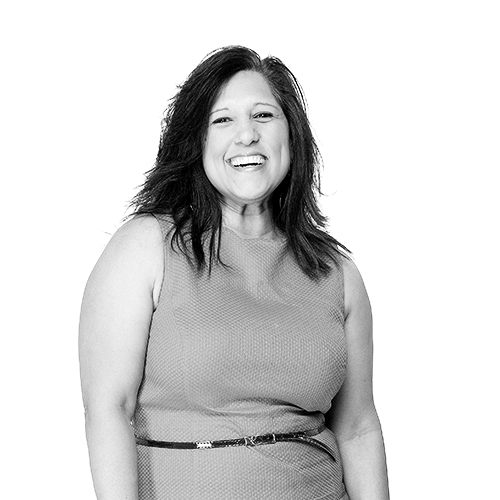 As it is, agency clients benefit greatly from Selina’s enthusiasm, organizational skills and expertise. With over 15 years of agency experience, Selina brings a great deal of know how to her craft. But more than that, she’s a true advocate for her clients, working hard on their behalf to deliver the best results possible. She excels at strategic development, executing campaigns and she’s a detail-focused project manager. Selina has a great deal of experience in the healthcare industry, working for both public sector and non-profit clients. Bottom line? When it comes to getting the job done right, clients know they can depend on Selina. © 2016 The Atkins Group. All Rights Reserved.